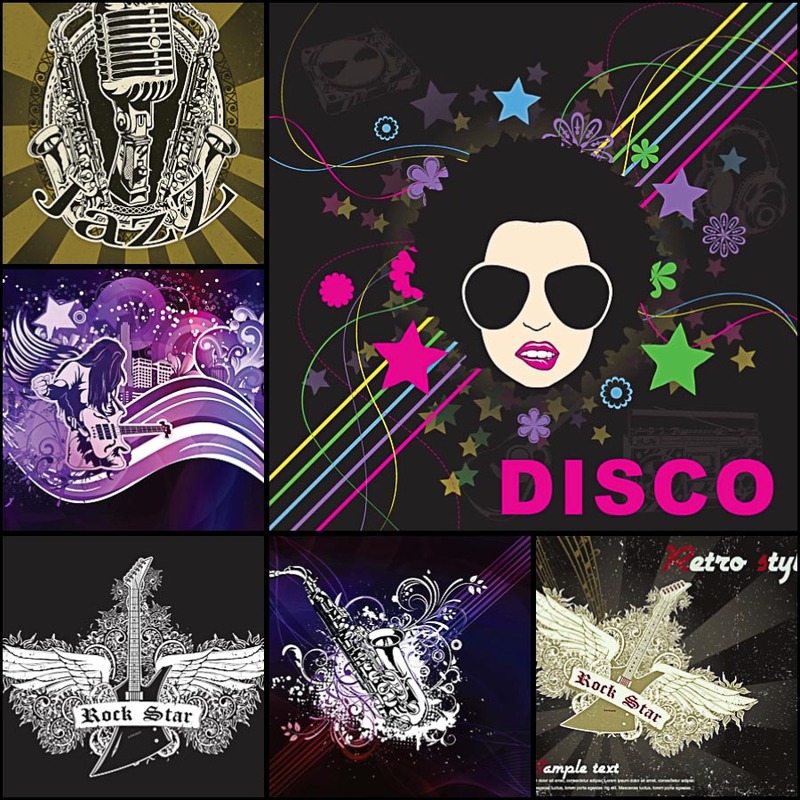 Set of 6 nice vector musical genres backgrounds for your music related posters, banners, cards and other designs. Free for download. 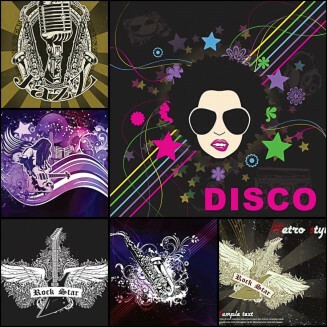 Tags: background, bright, clipart, disco, gramophone, music, poster, saxophone.